This bad boy transforms your character into a sword swinging Samhain from The Real Ghostbusters. With Halloween in full swing, Chair Entertainment wants to remind you to check out today's special Holiday Helm in the hit iPhone and iPad game, Infinity Blade. 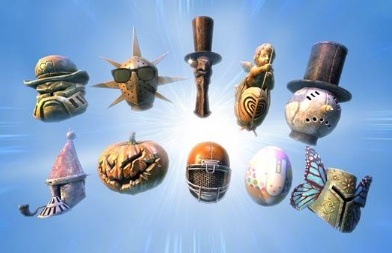 The helms, available during major holidays, let users decorate their characters with head gear for such special occasions as Christmas, Easter and St. Patrick's Day, to name a few. The Halloween helm is a giant pumpkin that makes the vengeful warrior more intimidating. You can purchase holiday helms with gold in the game's shop.